What’s a core powder – you say? It’s what you add to make the burst of deliciousness you find at the center of your ice cream bar once you bite through the chocolate shell, or strawberry crumbles or fudgy outside. 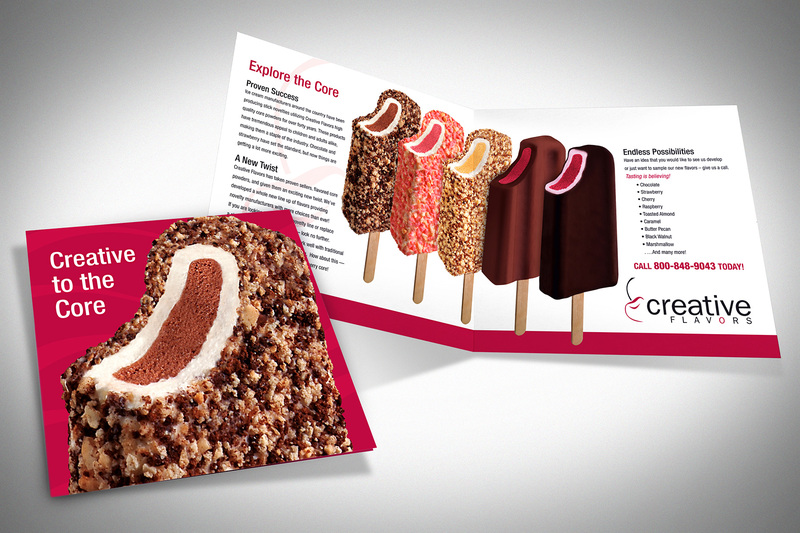 This brochure design showed novelty ice cream manufacturers the scrumptious possibilities of adding that extra “yum” to their products.